Have you heard of the #MadeByChobani challenge that’s going around the food blogisphere? The task is fairly simple really– come up with a healthy recipe using Chobani® yogurt. But if you’ve been to my site before, you’re fully aware that I have never claimed to write “healthy” recipes. Remember the Holy Trinity of my kitchen? But it’s a new year and even I can try something new. So………. With the Super Bowl just around the corner, I thought it would be the perfect opportunity to whip up a healthier appetizer to go along with all of those buffalo wings and pizza that will be consumed. And the recipe is incredibly easy too! 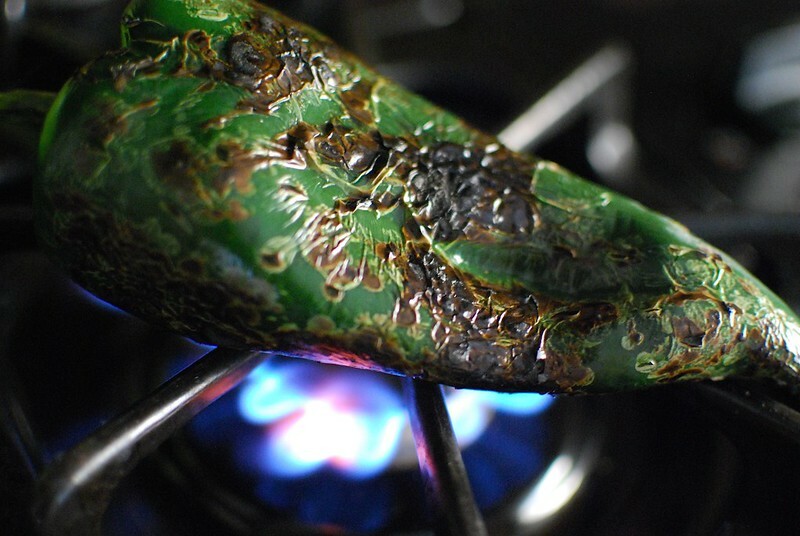 I grabbed a poblano pepper (sometimes sold in the US as “pasilla”) and charred the exterior. Once peeled, I threw it in a food processor along with some avocados that are rich in potassium, fiber, and monounsaturated fat (“good fat”). 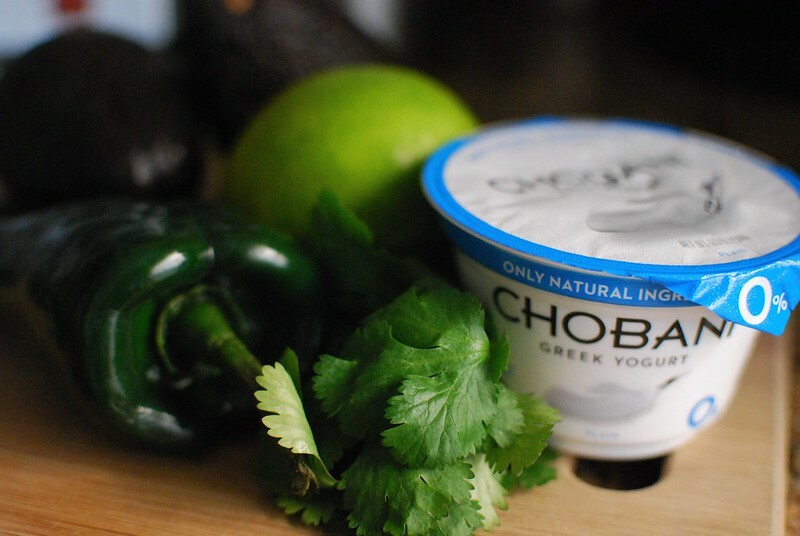 Non-fat Plain Chobani® Greek Yogurt, cilantro, garlic and a few spices like cumin were also added to the party. The latter has been known to help with building your immunity and digestion. A wonderfully creamy, beautifully rich, totally satisfying dip. Deeply flavored from the charred poblano and cumin & luscious from the yogurt and avocado. 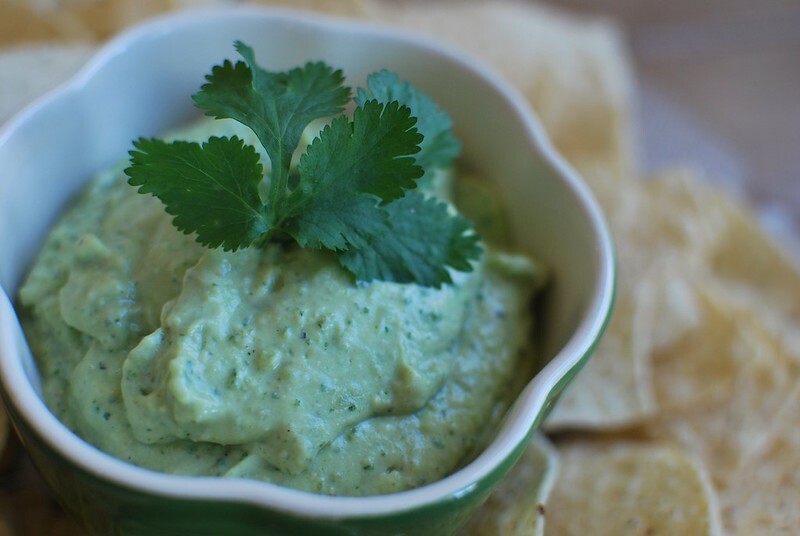 I chose to serve this healthier dip with tortilla chips (all about balance, right?) but it would be great with sliced veggies or as a spread in sandwiches. But…I’ll get back to creating some kind of bourbon-bacon dip so y’all know it’s still me. 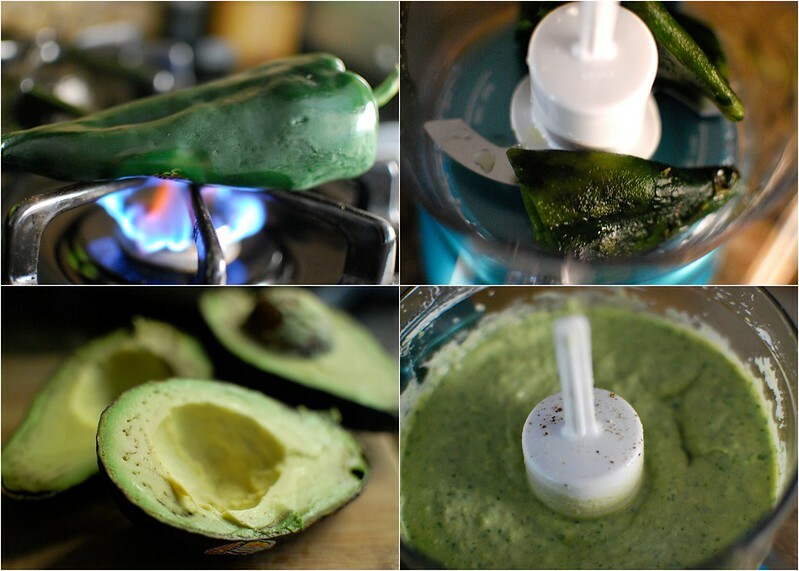 On your stove top range, char the poblano pepper on all sides. This can also be done under your oven broiler. Once charred, place in a bowl and cover with plastic wrap for 10 minutes. This will help the skin loosen from the pepper. Once cooled, peel the skin from the pepper and discard along with the stem and seeds. Roughly chop the roasted pepper and place into the bowl of a food processor. Pulse the poblano until it becomes fairly smooth. Add the rest of the ingredients and blend until smooth. Taste and add additional kosher salt as needed. 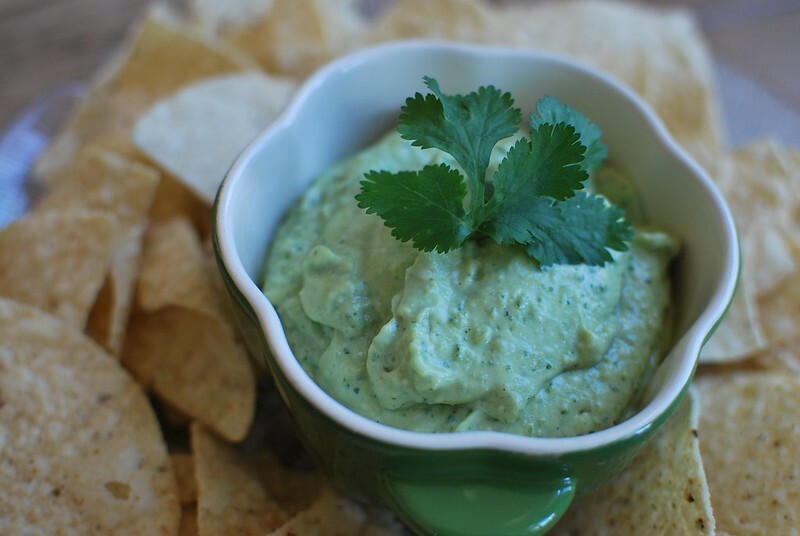 Serve with tortilla chips or veggies of your choice.